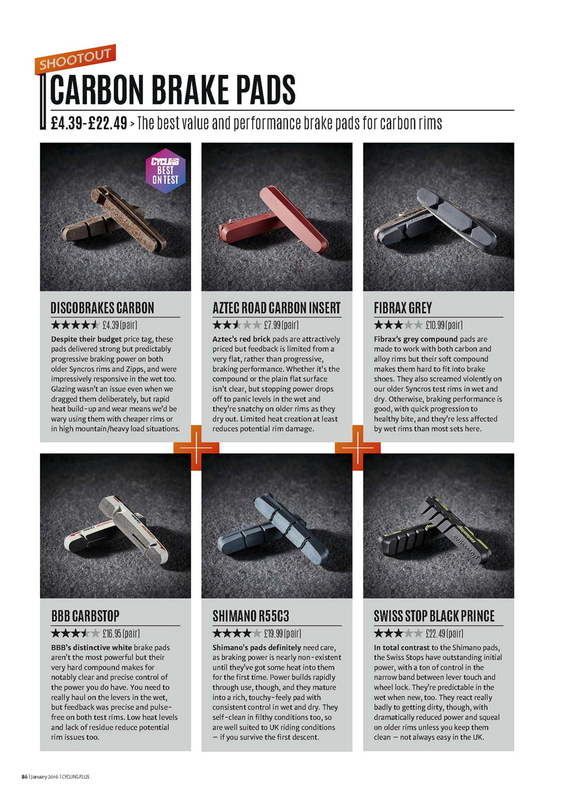 Our super affordable carbon rim brake pads have won the latest brake pad shootout in the January 2016 issue of Cycling Plus and have been given the title BEST ON TEST. The pads impressed with strong and predictable braking performance in the dry and in the wet. 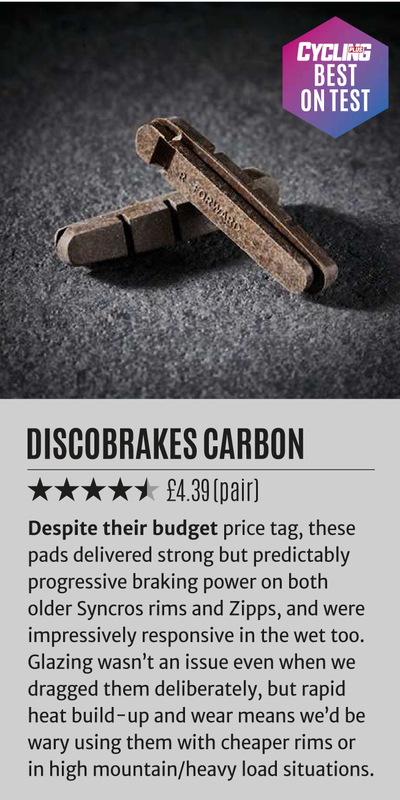 To view our entire rubber road brake pad range please click here. 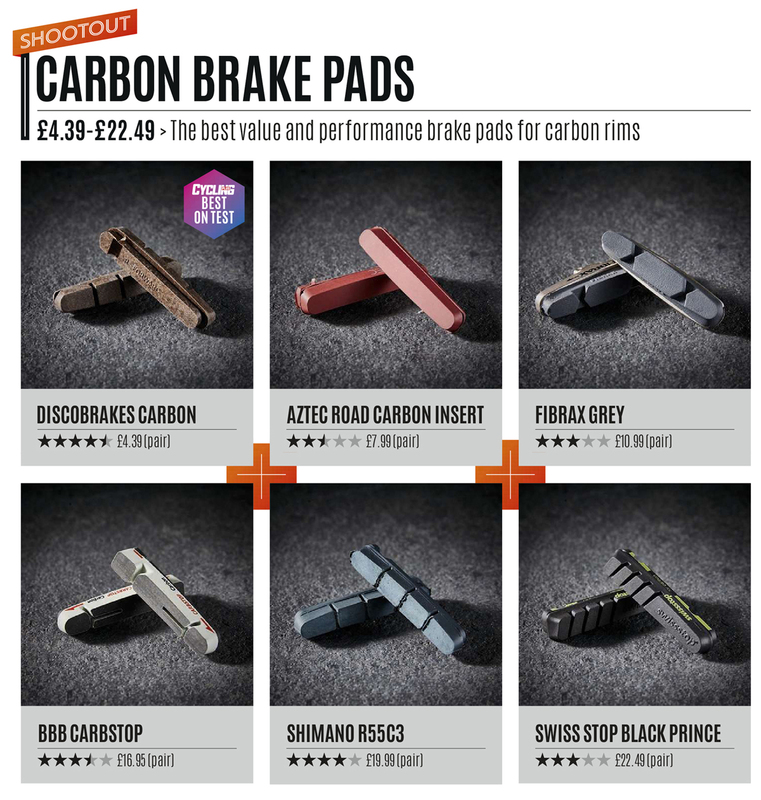 To go straight to the BEST ON TEST carbon rim brake pads please click here. And to give you guys an idea who we were up against in the test here the whole review.